A social media expert with global experience with brands such as Nike, Toyota and Motorola- he offers a new brand model in which they leverage social media to earn consumer goodwill, loyalty and profit, while promoting sustainable social change through contributions from customer purchases. The goal of We First is a sustainable practice of capitalism. 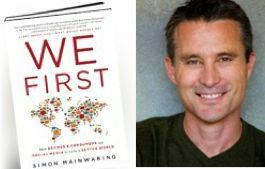 It is based on the belief that selfish Me First thinking hurts our businesses and the lives of millions of people around the world. It asserts that a brighter future depends on an integration of profit and purpose within the private sector. To achieve this, companies and customers must become partners in social change to build a better world. Could such innovative partnerships (with shared goals) practice capitalism in a way that satisfies the need for both profit and a healthy, sustainable planet? How realistic is his vision at a time when greed keeps consolidating gains? How much difference could it make even if successful? What has MAINWARING seen in working with these brands that makes him talk about his vision as a likely alternative? ROBIN WRIGHT said of her last book ROBIN WRIGHT, “My goal was to probe deep inside societies of the Middle East for the emerging ideas and players that are changing the political environment in ways that will unfold for decades to come.” Just three years later, ROCK THE CASBAH tells the stunning personal stories behind the rejection of both autocrats and extremists in the Muslim world. She describes the new phase of the Islamic activism as a counter-jihad. For some, it’s about reforming the faith. For others, it’s overhauling political systems. For all, it is about basic rights-on their own terms and not necessarily based on Western models. Muslims are now confronting extremism and rescuing their faith from a virulent minority, thereby taking charge of history and doing what the West cannot. ROBIN WRIGHT has reported from more than 140 countries on 6 continents for numerous news organizations, including several years with the LA Times. 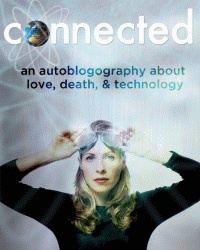 She has been a fellow at the U.S. Institute of Peace, Brookings Institution, Woodrow Wilson International Center for Scholars, Carnegie Endowment for International Peace Yale, Duke, Stanford and others, and is the author of five books. 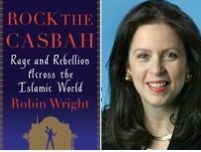 Her latest is ROCK THE CASBAH: Rage and Rebellion Across the Islamic World.